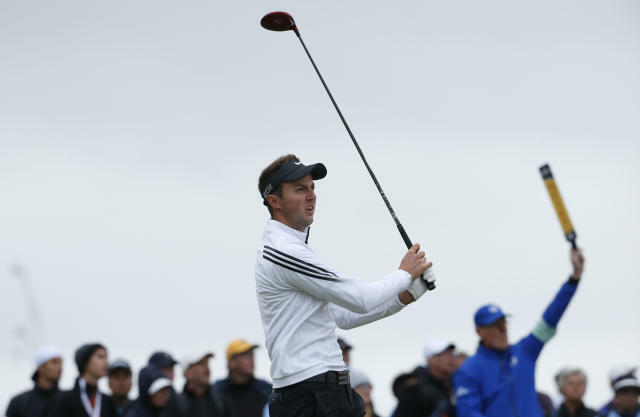 SOTOGRANDE, Spain (AP) — Marc Warren helped his chances of retaining his European Tour card by moving into equal-second place behind Englishman Ashley Chesters at the rain-hit Andalucia Valderrama Masters on Friday. "I'm hitting the ball as well as I have in a long time," Warren said. "Hitting fairways and greens is the most important thing around here, so hopefully I wake up tomorrow with the same swing." Chesters and Bourdy were among several golfers unable to play a single hole in the second round on Friday. Warren, a three-time European Tour winner, has struggled this season and needs a strong performance to keep his playing privileges for next year. Currently ranked 144th, Warren needs to break into the top 116 to keep his card.